Since only 2007 the Lexmoto brand has risen dramatically to be the largest brand for affordable Motorcycles and Scooters in the UK. Built on a foundation of parts availability and quality models Lexmoto has seen sales increase based on recommendation from our satisfied customers. We see ourselves as a company that rises to challenges and strives for better. It has been that attitude that has seen Lexmoto become the fastest growing motorcycle brand in the UK and twice recipient of the Scooter Franchise of the year award and runner up for the Motorcycle Franchise of the year award. We now set our sights on a broader goal of expansion. 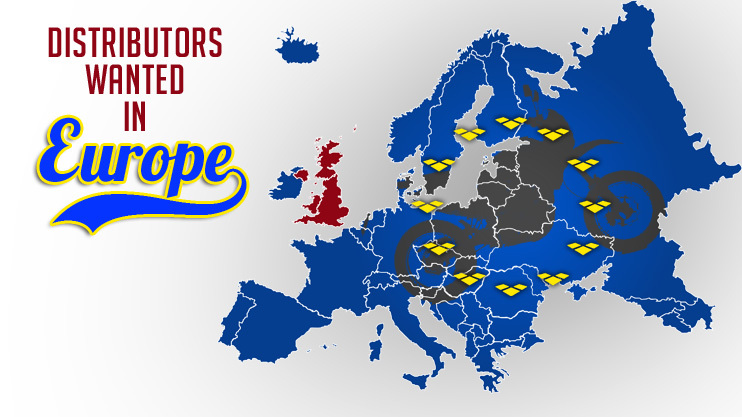 We seek to find enthusiastic distributors to take Lexmoto into Europe. So far our initial preparation has been successful and our initial distributors have seen great sales success in their local regions. We are now looking to offer further opportunity to businesses looking to work with us to establish success in their country. With our UK based parts distribution, quality models and great brand reputation there has never been a better time to consider selling Lexmoto Motorcycles and scooters in your country. To discuss further please create an account on the link below and one of our account managers will be in contact.